"Soar like an Eagle--Isaiah 40" wooden Business Card Holder. 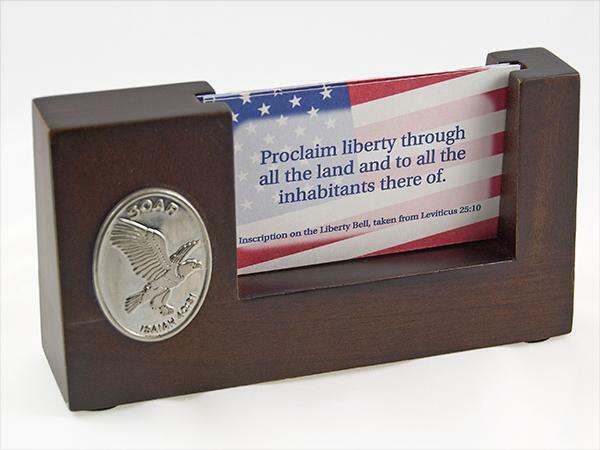 Comes with a cards that say "Proclaim Liberty through all the land and to all the inhabitants there of. -- Inscription on the Liberty Bell, taken from Leviticus 25:10" Holds standard sized business cards.